Calling all the cat people out there? Ruled by the sun itself, this intensely fiery sign has a radiant energy that draws all kinds of people in. This is the fifth house in the zodiac, representing fun and romance. Lying between Cancer and Virgo constellations, Leo is represented by the Nemean Lion that was killed by the Greek hero Hercules. Much like a cat, many Leo’s enjoy being treated with elegance, much like a regal king or queen. Almost like the king of the jungle, Leo’s surround themselves with friends and family. They can enjoy having friends around them for extended periods of time due to their social and adventurous nature. Many Leo’s appear to have a strong sense of confidence and sturdiness to them. Even if they feel like they might not be as strong as they appear, they have a natural air of ‘togetherness’. On the extreme side of Leo there is intense passion, generosity and warmheartedness. Just like the sun that rules them, they have this warm energy that just draws you to them. There’s something about them that makes you want to be around them, when they’re feeling good that is. Similar to the energy of felines, the other side of Leo’s is arrogant, seemingly vain and sometimes dramatic. When unbalanced, Leo’s can become too self centered and forget to give energy back to those around them. If you are a Leo, make sure you are surrounding yourself with people that really understand you. It’s important to always love yourself and give yourself the attention you need to be heathy, without being considered selfish or self centered. There are different aspects in the evolution of a Leo’s soul. The highest form is represented by the Sphinx, a wise and understanding being beyond their years. The second form is a Lion – the king of the jungle. Still ruled by their ego but loyal and protective, this is the middle stage many Leo’s are in. The last form is a cub, still immature and developing, this is how many Leo’s start out! The male and female aspects of this sign are interesting. 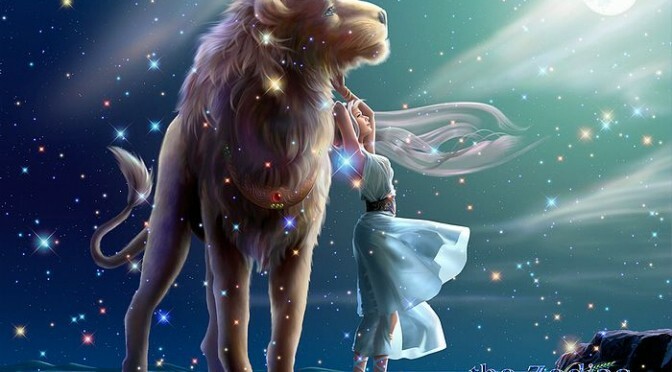 The female embodies the nurturing, warmhearted and generous side of a Leo. The male is bold, noble and assertive. Creating an even balance between these energies brings perfect harmony. It is the balance between the noble and the humble. The king and the queen. Many Leo’s have what it takes to be a star or in a major leader position. Their fiery, radiant energy easily captivates those around them. If you are a Leo, remember to take time to reflect on yourself and your actions when your are in large groups of people. You can balance the energy in social situations by giving others a turn to speak and really be heard. Don’t just wait for your turn to talk again, give them your full attention and presence; for that is one of the greatest gifts you can give. Someone with such a strong energy has the power to influence many, so do it justly with love in your heart!